A review of Steaz Organic Energy Drink Berry flavor. It's supposed to be good for you, but does it work? Zun Energy Drink: To the Moon Anyone? A review of Zun, a new "brain boosting" energy drink in a fun rocket shaped bottle. Will it "blast you out of this world"? 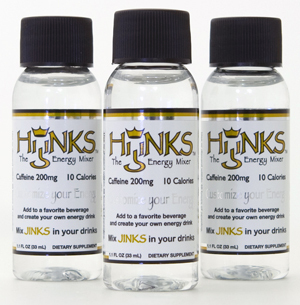 A review of Hijinks energy mixers which are powerful concentrated energy shots that turn any beverage into an energy drink. Do they pack enough bang for your buck? 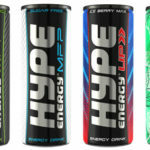 A review of Hype Energy Drink's line of Energy drinks; Original, MFP, Enlite, and Organic. Speed Stack Pumped N.O. is American Body Building's newest energy drink addition enhanced with nitric oxide. Here's how it tastes and functions. 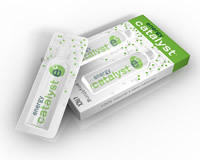 A review of a Energy Catalyst that is an all natural energy supplement that turns any drink into an energy drink.. Does it cause a chain reaction of explosive energy? A review of Vis Viva Energy Drink. Will this new drink put the Vis Viva back in you? What's in this drink and how does it taste? A review of Nawgan a new brain supplement energy drink available in a caffeine free version and a caffeinated version. Pure Liquid Caffeine Review: Use With Caution! Review of Pure Liquid Caffeine which is concentrated caffeine that makes any drink an energy drink. It should be used with caution and measured carefully. A review of XB-Fit Energy Drink which is a new "Healthy" Energy Drink distributed by multi-level marketing. Review of NOS Energy Drink, the New Zealand brand. Is it really "A New Breed of Energy Fuel"? A review of Rockstar Energy Cola including how it tastes, its ingredients, and how it functions. A review of Rockstar Recovery, which is a line of energy drinks that's designed help you after exercise or a party. How do they taste and what's in them? A review of SLAP energy drinks. 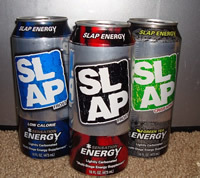 Do they really offer SLAP in the face energy? Vuka Functional Beverages are the newest drinks out there crafted to help you function. Featuring Awaken, Renew, Workout, and Think. Do they work?